Kyler Murray is still the heavy favorite to be the No. 1 pick in the NFL Draft, which begins two weeks from Thursday. But as long as Josh Rosen remains a member of the Cardinals, there's a chance Arizona looks elsewhere for its selection. Kyler Murray is still the heavy favorite to be the No. 1 pick in the NFL Draft, which begins two weeks from Thursday. But as long as Josh Rosen remains a member of the Cardinals, there's a chance Arizona looks elsewhere for its selection. Murray, the 21-year-old Heisman Trophy winner out of Oklahoma, is -1400 as of Wednesday afternoon at the Westgate SuperBook to be the top pick, but [he was -2500 only eight days ago](https://www.betchicago.com/2019-nfl-draft-odds-kyler-murray-number-1-pick-price). Defensive end Nick Bosa was 5/1 and is now 4/1. "If they trade Rosen, obviously we know what's happening," said Westgate oddsmaker Ed Salmons via text. "So far they haven't." Rosen, who is less than seven months older than Murray, reportedly was the first player in the building when the Cardinals' offseason training program began Monday. __MORE:__ [Antonio Brown vs. JuJu Smith-Schuster 2019 prop bets](https://www.betchicago.com/antonio-brown-juju-smith-schuster-prop-bets-twitter-feud) <a href="https://twitter.com/RapSheet/status/1115263571015950337" class="embedly-card" data-card-width="100%" data-card-controls="0">Embedded content: https://twitter.com/RapSheet/status/1115263571015950337</a> The Redskins and Giants were believed to be the top suitors for Rosen, who had 11 touchdowns and 14 interceptions last season in 14 games (13 starts) and went 3-10. But Washington, which traded for Case Keenum last month, is reportedly [out of the Rosen running](https://twitter.com/RapSheet/status/1116054804504162304), and the Giants' options at quarterback include keeping Eli Manning as their starter and/or drafting Dwayne Haskins with the sixth pick. So the closer we get to draft night and Rosen still hasn't been traded, the more Murray's number will come down, Salmons said, adding that Murray only got to that exorbitant price "to stop any money" coming in on him. That makes sense considering the odds on Murray at offshore book BetOnline are [a more reasonable](https://www.betonline.ag/sportsbook/futures-and-props/nfl-draft) -500, with Bosa 5/2. There's still smoke behind [Murray to the Cards](https://profootballtalk.nbcsports.com/2019/04/08/nfl-non-mock-draft-first-round-fmia-peter-king/?cid=fmiatw). 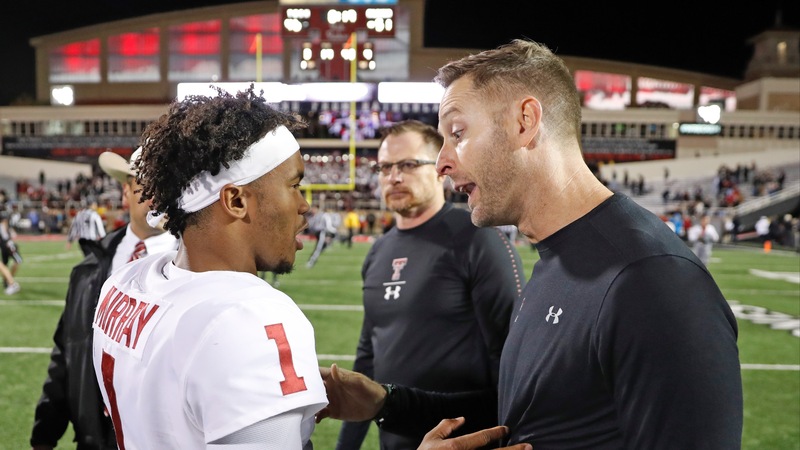 As far as we know, new Arizona head coach Kliff Kingsbury is still [a huge fan](https://twitter.com/EricKellyTV/status/1056683979326271489?ref_src=twsrc%5Etfw%7Ctwcamp%5Etweetembed%7Ctwterm%5E1056683979326271489&ref_url=https%3A%2F%2Fwww.sbnation.com%2F2019%2F1%2F10%2F18176792%2Fkliff-kingsbury-kyler-murray-2019-nfl-draft-no-1-overall-good-news-kliff) -- even though he's gone out of his way recently [to praise Rosen](http://www.espn.com/blog/arizona-cardinals/post/_/id/31565/josh-rosen-has-what-it-takes-to-run-kliff-kingsburys-air-raid) -- and Kingsbury and Rosen still have the same agent. My hunch is that the Cardinals will gladly trade Rosen if they can, but that the market just isn't that strong after a subpar rookie season and doubts about the UCLA product going back to this time last year. So if Arizona needs to keep Rosen and draft Bosa for a spot it also needs help (pass rusher), it'll do it. The bet will come off the board if Rosen gets traded, Salmons said. So if you feel Murray to the Cardinals is going to happen, you may as well wait until the last possible moment and hope no information gets leaked before then. __PLAY:__ Our [Masters 2019 Challenge](https://betchicago.chalkline.com/games/masters-challenge) for the chance at $5K.